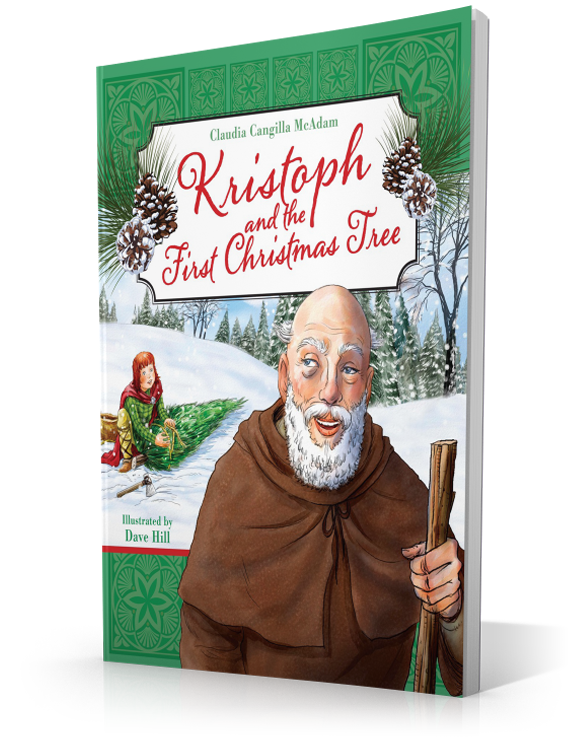 It’s Christmas Eve in the year 722, and Kristoph, a young orphan boy, is accompanying the missionary priest Boniface through the German countryside. They are hurrying to reach the next village by nightfall when they come upon a group of people in the forest worshiping an oak tree and preparing to sacrifice the son of the village chieftain. Now rescued, the son of the village chieftain invites Boniface and Kristoph to share Christmas with his family . . . around another evergreen that Kristoph cuts down for their own celebration.